Book Review: "Prayers that Changed History"
Includes images of each historical figure. This book was the perfect book to get you thinking about and self evaluating your prayer life. As we continue to see moral decline in our country we must stick to getting on our knees and petitioning the Holy Spirit and God to soften our hearts back to HIM! Back to loving our creator and loving others will move us in the right direction. I loved reading the prayers that were said and the mini history lesson from when it took place. Each section also gives you the year, a picture, when the person lived, "something to think about," "how it changed history," "in their words," how it is related to the Bible, and how we can use the prayer in our own life. 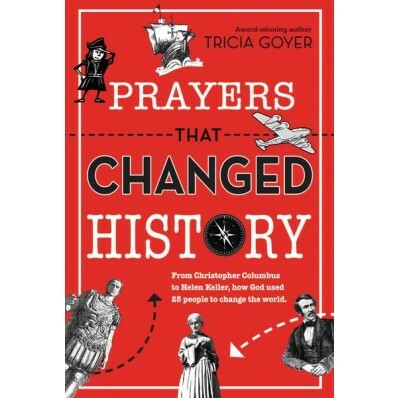 If you want your prayer life to get a kick start then get inspired by reading these amazing prayers in "Prayers that Changed History." It is only $12.99 on Zondervan. Thanks Zondervan for sending me this book free of charge in exchange for an honest review. I was not paid for this and all opinions are 100% mine.